Jan. 26, 2016; 11:30 a.m.
Students going in and out of Roemer Hall, the new home to the Work and Learn office. 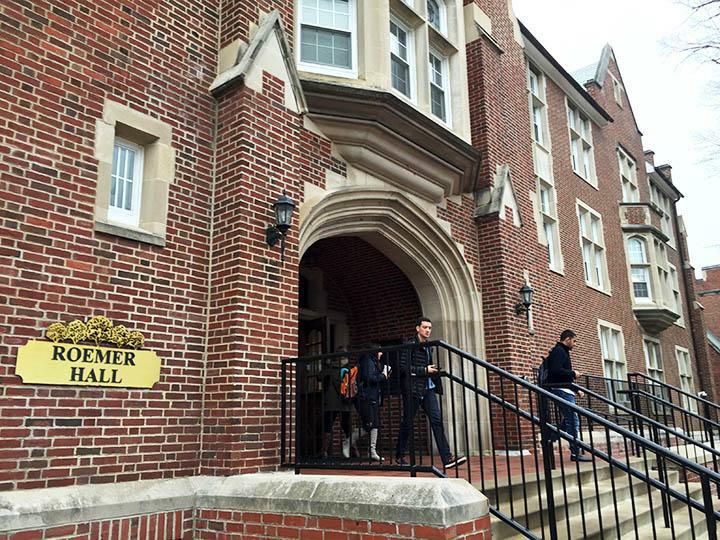 The Student Worker Office, where students can receive information on the worker program, has moved to Room 110 in Roemer Hall from the previous location on the third floor in the Spellmann Center. According to Matt Barnsworth, a graduate assistant who works at the office, the move happened Jan. 25. For more information, contact the Student Worker Programs via email at studentworkerprogram@lindenwood.edu or call their office at 636- 627-2584.